There are some expats in Korea who really have a handle on things when it comes to writing about Korea like Michael Breen. In his weekly column for the Korea Times, Breen always provides readers with an insightful analysis of contemporary Korean society. He’s an old Korean hand and he knows Korea quite well. 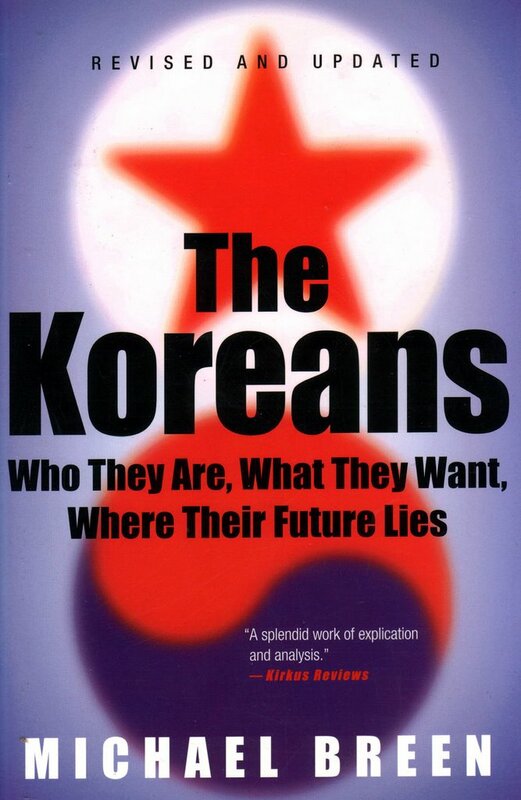 Breen is also the author of The Koreans: Who They Are, What They Want, Where Their Future Lies. It’s a must-read book for anyone interested in modern Korean society whether you are in Korea now or planning to come here in the future. Few foreigners have a better understanding of modern Korea than Breen who probably comes as close as an outsider can get to provide readers with a very engaging and enlightening exposé of contemporary Korean society. I have had the opportunity to meet Breen a few times when I was writing for The Korea Times and I have always found talking to him to be very insightful. The last time I met him was a few years ago when I interviewed him right before his last book Kim Jong-Il: North Korea’s Dear Leader was published. When I was writing book reviews and feature articles for The Korea Times a few years ago, I had the chance to read many fine books on Korea. Of all the books I did read, one book—Michael Breen’s The Koreans: Who They Are, What They Want, Where Their Future Lies—stood out from the rest with its insightful commentary and analysis. To be sure, if you were looking to choose one book on Korea that best explains its history, culture, and people you would need to look no further than this one. Originally published in 1999 (and revised and updated two years ago to keep abreast of the latest winds of change on the peninsula), the book has been one of the better commentaries on Korea filled with an illuminating treasure trove of genuine insights on everything Korean. With his snappy style of writing that makes this book a real treat to read, there’s probably no better qualified Western observer of Korea than Breen who has been writing about the two Koreas ever since he first arrived here in 1982. With a keen sense for detail with just enough objectivity and sensitivity thrown in, he has a knack for getting to the bottom of what makes Korea so Korean in this straightforward analysis. Nothing it seems is off the author’s radar screen as he tackles a gamut of topics in the book that exposes not only the nature and values of Koreans, but also how these values have underpinned their national development. He looks at Korea’s long and difficult history, as well as some of the nation’s more painful moments in the 20th century including the Japanese occupation period and the division of the two Koreas. Finally, he examines how Korea rebounded from these events and how the “miracles of change” brought Korea to where it is at today and what the future holds for both Koreas. That’s a lot to cover, but Breen is definitely up to the task with his book. Moreover, what makes this book thoroughly enjoyable to read on a number of levels is that the author knows Korea and its people. As someone who has been here for as long as he has and either wrote about Korea or had dealings with Koreans on a daily basis as a consultant, his personal insights are a valid assessment of the historical, political and cultural landscape. Although he writes passionately about Korea in this book, this does not color his perceptions in any way. Indeed, it’s an honest assessment that is just as thoughtful as it is enlightening. While it may not always be easy for Western observers or even expats living in Korea to fully understand this unique society, Breen excels with clearing up some of the ambiguity that might often cloud one’s perception of Korean society and the values that have shaped their national character. On the other hand, he often comes across as a voice of reason with his personal commentary on Korea that articulates perhaps what many people who have lived in Korea have felt one time or another. As Korea continues to be the focus of much international attention, the need to become more familiar with and appreciate this extraordinary country becomes all that more apparent and this book is a good place to start. Whether you are an old hand to Korea or immersing yourself in the land of the morning calm for the first time, Breen’s book is a must read. 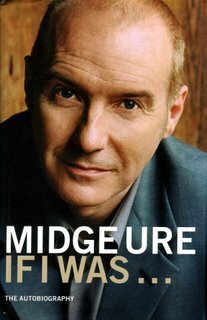 With a musical career that has spanned over four decades, Midge Ure is one of rock and roll’s more original and innovative musical artists. Ure is humble when it comes to describing his musical accomplishments. He speaks candidly about his early days as a musician with bands like Slik and Rich Kids, as well as touring with Thin Lizzy before becoming a member of Ultravox. There’s no question as the frontman of the resurrected Ultravox in the late 70’s, that the band would have a profound impact on the music scene in the early 80’s. It is a real treat to read about his days with Ultravox and how the band would define the electro-pop movement with its cutting edge musical stylings. What I found most interesting was Ure’s discussion of the challenges the band faced trying to recreate the sound they had perfected in the studio for their live performances. I was fortunate to have seen Ultravox twice in concert: the first time on Halloween night in 1980 during their Vienna tour and three years later, on Good Friday, during their Quartet tour (the irony of those two occasions has never been lost on me). Recreating that studio sound, especially for their Quartet tour was no easy feat, but the band pulled it off. There are more of these moments in the book which offer insights into the changing music scene as well as Ure’s solo career. Thanks for the good read, Midge, and thank you for your music.